“The Season,” when increasing numbers of people come to enjoy Montauk’s natural wonders. 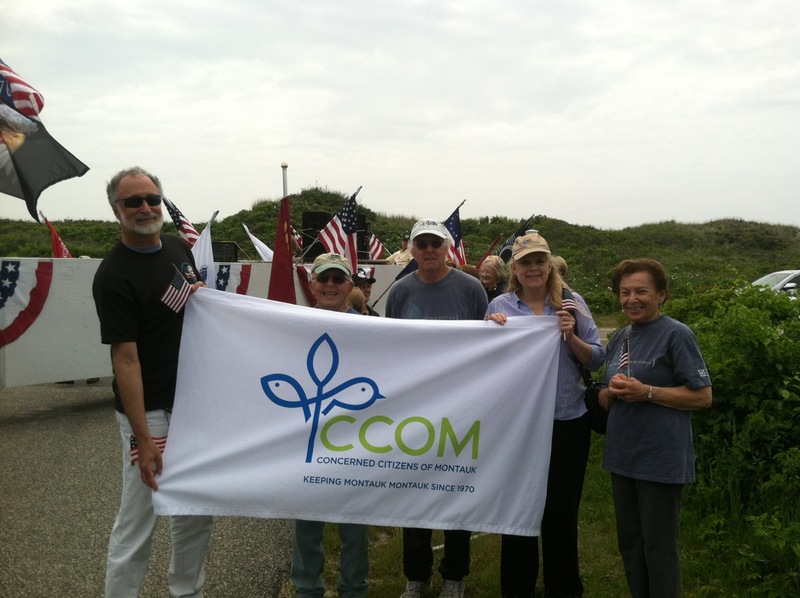 That’s why CCOM participated in two events this Memorial Day, marching in Montauk’s Memorial Day parade and holding an earlier guided walk on the new trail to Amsterdam Beach. Memorial Day reminds us that preservation and protection doesn’t come easy. One significant way we can continue to honor those who have sacrificed for America the Beautiful is by doing our part in keeping what they fought and died for respectfully maintained and stewarded. and, hopefully, into the future. CCOM Concerned Citizens of Montauk, preserving & protecting the ocean, lakes, parks and raw beauty of Montauk since 1970.